SCVHistory.com LW2782 | Film-Arts | Harry Carey Sr. in 'The Last of the Clintons' (1935). 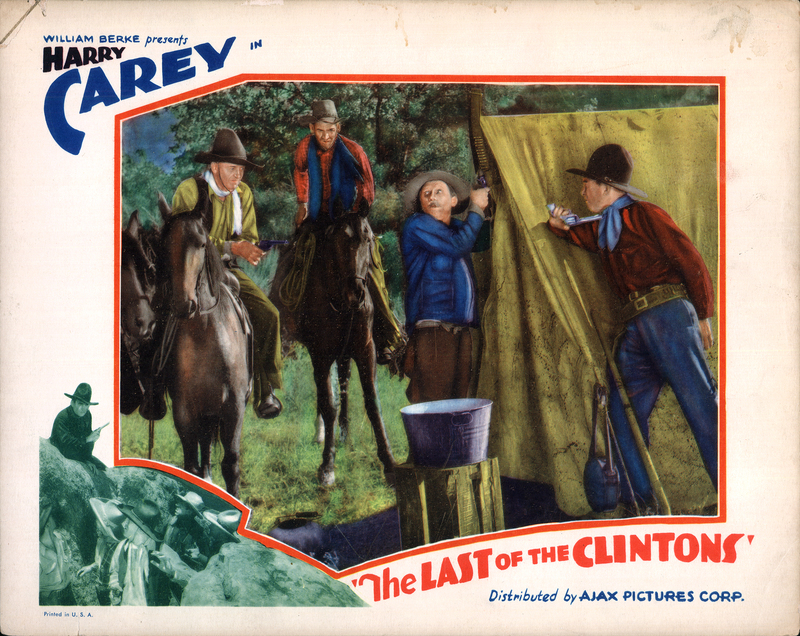 William Berke Productions Inc. | Ajax Pictures Corp.
Harry Carey Sr. plays Trigger Carson in the action-packed talking Western, "The Last of the Clintons" (William Berke Productions 1935). Distributed by Ajax Pictures Corp. and others under the states rights system. Last of the Clintons co-stars Betty Mack, Del Gordon, Victor Potel (as Jed Clinton), Earl Dwire, Ruth Findlay, Tom London and Slim Whitaker. Uncredited cast includes: Barney Beasley, Allen Greer, Pat Harmon, George Hazel, William McCall, Lafe McKee, Lew Meehan, Tex Palmer and Francis Walker. The director is Harry L. Fraser, who also wrote the story and the scenario (screenplay). Robert E. Cline is behind the camera; Arthur A. Brooks, editor; William L. Nolte, assistant director; Clifford A. Ruberg, sound recording engineer; Francis Walker, stunt double; Lee Zahler, musical director. Runtime: 59 minutes. 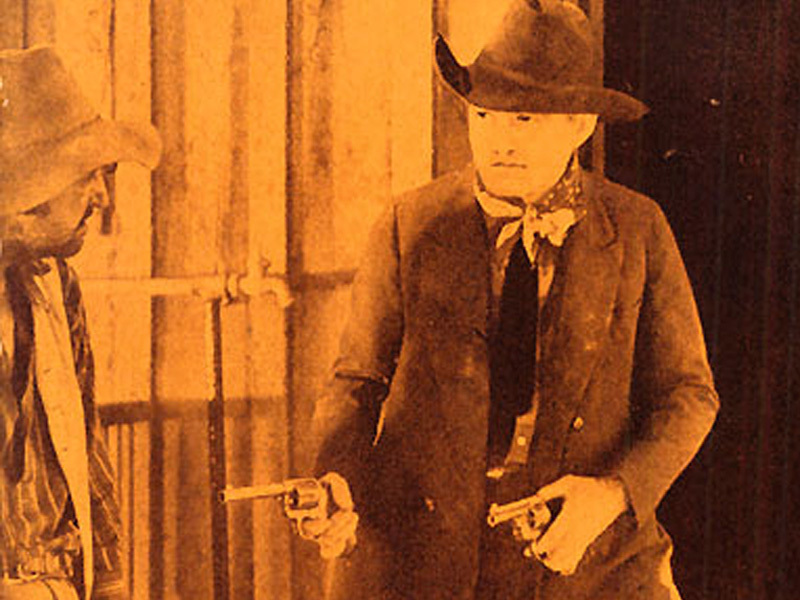 LW2782: 19200 dpi jpeg from original lobby card purchased 2015 by Leon Worden.